To vape, or vaping, refers to the action of inhaling vaporized substances from an electronic smoking device. Vaped substances include e-liquid,nicotine, alcohol,cannabis and medicines. Vaping is a relatively new term and has been short listed for word of the year 2014. E-cig is short for electronic cigarette, an electronic cigarette is a small battery powered vaping device. A term used to describe an electronic cigarette, ‘cigalike’ is an amalgamation of two words: cigarette and like. It has been coined due to an e-cig’s similar appearance to that of a traditional tobacco cigarette. V-meds is an abbreviation, V: vaporizing and meds: is short for medicine, v-medication is a treatment for medical conditions. It is a way to administer medicine to treat symptoms like flu and headaches. E-meds is an abbreviation, E: electronic and meds: is short for medicine. Why is it called a ‘vape pen’? The term ‘vape pen’ was coined due to a vaporizers similar appearance to a pen. Some vaporizers double up as a writing instrument and also have clips that you can attach to shirt pockets. The aesthetic similarity inspired the name. A cartomizer (US) or cartomiser (UK) is a small detachable component of an electric cigarette. They are designed to look like a typical cigarette filter. The cartomizer/cartomiser is the piece that contains the e-liquid. It is the mouth part of the e-cig which you inhale the vapour through. An atomizer/atomiser (US/UK) is a device that is used to emit the e-liquid as a fine spray or mist. The atomizer/atomiser is heated by the battery and on contact with e-liquid it almost instantly vaporizes the juice, producing a cloud of vapour that is inhaled into the lungs of the user. 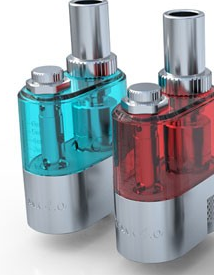 A clearomizer (US) clearomiser (UK) is another term for the atomizer. It is the component that holds the e-liquid and is heated by the battery – this is the part that the vapour is inhaled through. It was given its name due to its transparency, this transparency allows the user to visualise the e-liquid and monitor the amount of liquid vaped or indicate when the device needs refilling. E-pipes are just another form of vaporizer, they are styled to look like traditional tobacco pipes right down to the glowing tobacco heap. The e-pipe is a clear example of how e-smoking is looking to appeal to all forms of tobacco smokers. What is a cannabis vaporiser? A cannabis vaporizer is a device which allows the user to vape cannabis instead of smoking or burning it. Vaping cannabis is seen as a healthier option as not so many of the harmful by-products are inhaled. There is no need for tobacco when cannabis is vaporized. Yes you can vaporize alcohol and there are specific alcohol vaporizer out there to buy. The alcohol you vape has to be strong, you wont get a good hit off a Budweiser! The actual effect of vaping alcohol is under scrutiny, lots of users tried vaping alcohol but the general opinion was that they didn’t get as drunk compared to drinking. However, if you are concerned about the amount of calories in alcohol then vaporizing could be a good alternative as the process reduces the amount of calories absorbed by the body. You could say that vaping alcohol is better for your waistline. Vaporizers are here and it looks like they are here to stay. We are entering a time that could see the old fashioned cigarette go extinct. Battery powered vaporizers in their place and less and less people are turning to tobacco. There are a lot of e-cig brands to choose from, Vype, V2, VIP and E-lites are all emerging e-cig brands. The new companies offer a lot of product choice. This gives you options of how you can vape. So what should you choose? Here as a list of reasons why vaporizers are better than e-cigs. This should give some idea of what to chose when purchasing you first vaping device. It will give you an insight into vaping tools before you buy. You may like to not listen and find out on your own. But what ever. Vaporizers come in a range of forms, shaped to look like almost anything. This helps with discreet smoking. It means you sneak a quick vape in places you could not smoke tobacco. As long as there are no cameras to catch you! It will be fine and you won’t get caught. Well I hope you don’t get caught anyway. 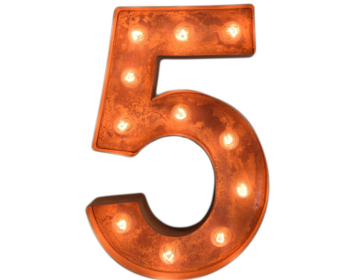 Vaporizer batteries last a lot longer than standard e-cig batteries, in some cases up to 5x longer. 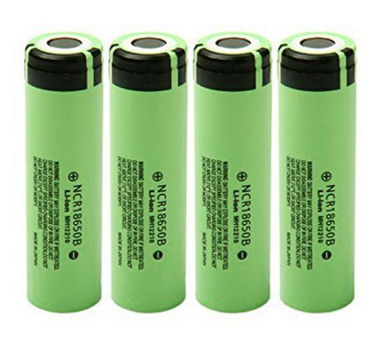 Some of the bigger batteries can last for days. Bigger vaporizer batteries are not as discreet but they hold a lot of power. You also get a better hit from bigger vaporizer batteries. This gives you more nicotine per puff, so you wont have to smoke it constantly. Smoking an e-cig you have to puff all the time, then the battery over heats. So they are not as good. The batteries also have adjustable voltage, this allows you to play with the amount of smoke inhaled. It Also means you burn more e-juice per puff but hey it is not expensive if you make your own e-liquid. With more smoke comes more nicotine, the strength of juice you smoke will also go down with a bigger more powerful battery. If the juice is too strong you will cough your guts up! You have been warned. Vaporizers can hold much more e-juice than e-cigarettes, so less need to fill up or change the cartridge. Some vaping tanks hold loads of e-liquid up to 20 ml. This is enough to last you a good few days. Must standard vaping tanks hold around 2 ml. A big vaporizer battery can burn this amount in a few hours. The standard batteries make 2 ml last a good few hours and that is constantly puffing. E-cigarettes can last 300-400 puffs, depending on brand. They will only last an hour or to sometimes. This especially when you have just quit tobacco and can’t put your vape down. 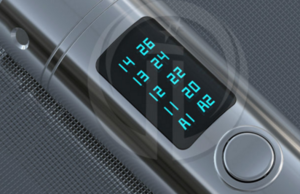 Some vaporizers come with a built in LED displays which analyses your puffing data and maximises your vaping experience. The tech going into vaporizers now is pretty cool. There are a lot of gadgets on batteries and tanks now that add to the vaping experience. Some batteries have temperature gauges and switches that allow you to adjust battery power. 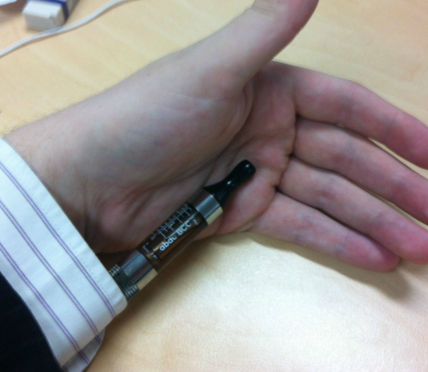 This can lengthen the battery life and regulate the amount of nicotine you vape. Vaporizing and refilling atomizers with e-liquid is cheaper than buying cartridges all the time. My monthly spend on e-juice is a third of what it was when smoking e-cigs. A bit of extra money in your pocket is always a bonus. People have saved up enough to buy a new car with the money thy have saved vaping. Vaporizer compared to e-cigs are a lot cheaper. E-cigs have to buy expensive refill cartridges, these can cost up to 20.00 for a pack of 5. You can refill e-cig cartridges but that is not advised by the manufacturers, HA I wonder why.